In the community of Emiliano Zapata in the Whirlwind of Our Words Caracol, 30 Zapatista families work collectively. They have in common a coffee plantation, vegetable gardens and about 350 head of cattle. Its inhabitants do not receive government support of any kind, but their standard of living is much better than that of the surrounding PRI-governed settlements. There is a small cooperative shop in the community, whose proceeds go to works that people need. There, as in all the other rebel regions, the cooperative’s resources are used to finance public works such as schools, hospitals, clinics, libraries or water pipes. Throughout all the rebel territory, an autonomous system of well-being flourishes, based on a de facto land reform which prioritizes the communal use of the land and natural resources in collective work, as well as in the production of items for use, and fair trade practices in the international market. In the 27 Zapatista municipalities, alcohol is not consumed and drugs are not grown. Justice is exercised without government intervention. Rather than punishment, the focus is put on the rehabilitation of the offender. Women have taken positions and responsibilities that they undertake infrequently in rural communities. The network of common infrastructure in education, health, agro-ecology, justice and self-government, which the insurgents have built outside State institutions, functions according to its own logic, which is plural and diverse. The Zapatista communities have trained hundreds of education and health promoters and agricultural technicians, in accordance with their own culture and identity. 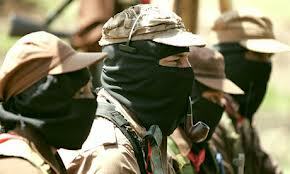 All this has been achieved because the Zapatistas govern themselves and defend themselves. They have constructed their autonomy without asking permission, in the midst of an ongoing counterinsurgency campaign. They resist continual harassment from 51 military bases and from welfare programs that seek to divide the communities in resistance by offering them crumbs. However, towards the end of this year a smear campaign was unleashed which asserts that none of this is true. Falsely, it claims that the Zapatistas are worse off today than they were 20 years ago, that they are destroying the environment and dividing communities. This is the latest episode in a dirty war as old as the uprising itself. The slanders do not hold up. Hundreds of public testimonies demonstrate that the accusations against the rebels have nothing to do with the reality that the slanderers spread. For example, the painter Antonio Ortiz, Gritón, was in the community of Emiliano Zapata between August 11th and 16th this year, as part of the Zapatista escuelita, and documented his experience in a moving account that he put on Facebook. He was surprised to find that 30 indigenous families owned 350 head of cattle. He was part of a group of 1,700 people who attended the first Zapatista escuelita that month. Also present were Gilberto López y Rivas and Raúl Zibechi, who shared their reflections in the pages of La Jornada. So did the journalist Adriana Malvido in Milenio, and the dancer Algeria Guerrero in alternative publications. All stated directly how the Zapatista communities live, work, educate, heal and think. For nearly a week, 1,700 guests were transported, housed and fed by their hosts in the communities in which they lived. A Zapatista cadre accompanied each one and answered their questions and concerns about their history, struggle and organizational experience, and translated indigenous languages into Spanish for them. This experience is currently being repeated, at the end of this year, and will be repeated again at the beginning of 2014. An educational initiative of this magnitude, different from the traditional pedagogy, can only be sustained through the existence of communities with a material base capable of accommodating guests, an organization with the skill and discipline to operate such an ambitious project, and thousands of political cadres with training to explain their daily lives and their proposal for social transformation. From below, the Zapatistas are changing the world. Their life today is very different from what it was 20 years ago. It is much better. Over the past two decades, they have given themselves a dignified life, liberated, full of meaning, outside government institutions. They are not just doing it in a few isolated communities; they are doing it in hundreds of them established over a wide area. There is, in this laboratory of political transformation and liberation, much to learn and much to be thankful for.